How do I embed a story into Wordpress? How do I upload an image? How do I create a timeline? How do I share my story? How do I print a story? Can I export/save it offline as a PDF? How do I upload an audio file? How do I move items? 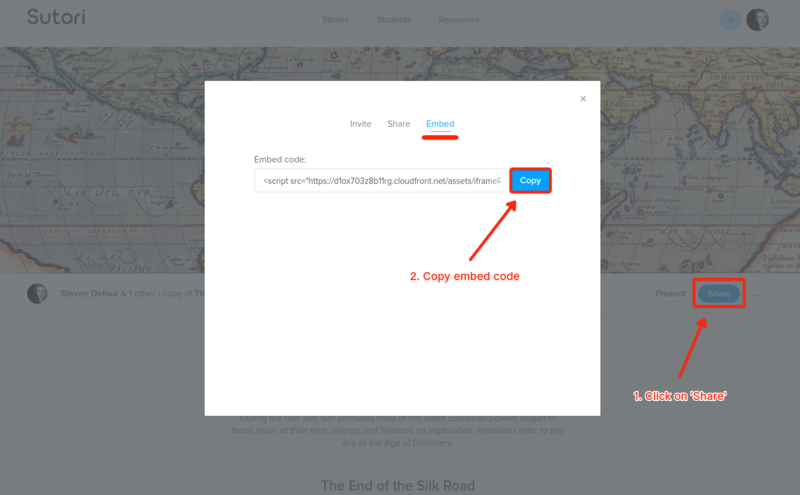 You can then use the embed code that you can access when you click on &apos;Share&apos; (see screenshot). Sutori embeds do not currently work on Wordpress. You can however always link to a Sutori presentation and/or add screenshots.